I intend to comment fully on what I read of the Honorable Minister Louis Farrakhan’s words concerning Brother Minister Don Muhammad of Boston. I was moved by his words concerning my Brother, Brother Minister Don who has been and is a great helper to Minister Farrakhan and the Nation of Islam. And at the same time I was moved by his words concerning Minister Don’s wife Sister Shirley Muhammad. I met him many years ago and studied him. This involved Minister Farrakhan’s assignment and Minister Don’s reaction to him. Behind every good man is a strong Black woman. The following comes from a book I wrote titled This Is The One According to the writer’s present understanding, the testimony of the truth of the Honorable Elijah Muhammad can be divided into three parts. The first refers to his works. The second concerns the prophecies in the Bible and Holy Qur’an, which he fulfills. The third points to his powers, which we can—and some will—share in, to the extent of our capacities. In the first instance, the Honorable Elijah Muhammad’s work of raising Black people, mentally, morally and economically, to levels which others cannot, affords proof of his superior wisdom and all-around leadership ability. One could infer that he is God’s Messenger by this alone. The writer is among those who already have so concluded from the visible changes he has produced in the lives of thousands of Black people. In the August 1970 issue of Ebony magazine, an article by Mr. Massaquoi contains examples of the profound impressions that the economic aspect of the Honorable Elijah Muhammad’s work has on seasoned businessmen. At the very least, many people have inferred from what they have heard of the Honorable Elijah Muhammad’s work—from the curing of drug addiction, to the establishment of several multi-million dollar business enterprises—that the Honorable Elijah Muhammad is THE LEADER for all Black people of America. Of course there are Black people outside of America who take him for their leader also. The writers on The Nation of Islam ought to tell the public about the thousands who chanted “Long Live Muhammad,” after that fifteen minute talk he made in the Sudan in 1959; those reported huge public pictures of the Honorable Elijah Muhammad in the Congo; and how Black Africa is ever sending their men to visit the Honorable Elijah Muhammad to learn how to better their progress. This should tell us something about the Honorable Elijah Muhammad. But suppose not one person accepted the Honorable Elijah Muhammad and his message since he began teaching in 1931? Would that have made him false? Emphatically no! Why not? His duty is to deliver the message of Allah clearly. The truth of the message does not depend on how people react to it. The Honorable Elijah Muhammad and his teachings correspond to and fulfill prophecy that such man and message would come in these days. If one compares the prophetic writings to the Honorable Elijah Muhammad and what he teaches, they can see for themselves that he is who he is. This forms the second part of this testimony to the truth about the Honorable Elijah Muhammad. The third part points to his powers. He is an Original Man in every respect that he teaches. See Message To The Blackman, page 21 written by the Honorable Elijah Muhammad. One of those powers is his ability to take the laws of nature and show that they bear witness to what he teaches. This power was given or developed in him by his Teacher. His Teacher is Master Fard Muhammad, Who is the Divine Supreme Being. He has made His Messenger The Clear Evidence of His (God’s) existence; identity; nature; will; aims and purposes. 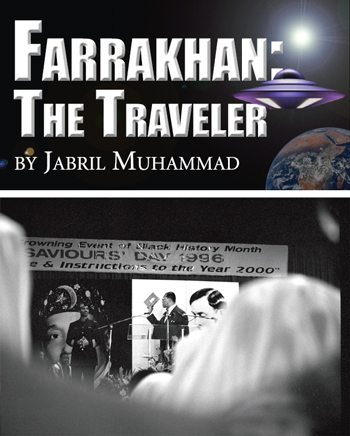 The relation between these three parts of this proof of the truth of the Honorable Elijah Muhammad is as follows: the works grows out of or fulfills, the prophecies of the Bible and Holy Qur’an, which are confirmed and verified, or borne witness to, by the God Who taught the Honorable Elijah Muhammad. I cannot call these three parts three different kinds of proofs in the sense that each part is unrelated to the other. The reason is because they are inter-related and inseparable, like the various systems of our bodies. We divide the body into its various systems on pages of books. This shows we can think of this or that system of the body separately from the other. But we know that in reality the various systems of the body form a unity. Likewise, truth is One since it has One Source—Allah. All three parts of the testimony of the truth of the Honorable Elijah Muhammad are true. It can be put into one sentence: The Honorable Elijah Muhammad is the Messenger of Allah. This one fact, for me, sums up the greatest truth we could know. It opens up an unlimited number of other vital truths. The writer believes that all the truth of the Honorable Elijah Muhammad is certain. Now, what does this mean? What are we saying when we say we are certain, sure, convinced or positive that such and such is true? These words all mean free from doubt or uncertainty. Sure and certain are used interchangeably in most contexts, but certain may emphasize the indisputable character of what is referred to, implying that whatever is certain is subject to reasonable debate. Sure is more indiscriminately used. Both words, but especially sure, may serve as polite substitutes for a hopeful but less-than-certain attitude. This won’t entirely do. However, the next word, “positive:” is somewhat more emphatic than sure or certain in stressing the absolute absence of doubt and the incontestable nature of one’s conviction. Webster’s New Dictionary of Synonyms, tells us that: certainty, certitude, assurance, conviction are comparable when denoting a state of mind in which one is free from doubt. It is that state of mind, and the means by which we can arrive to and in it, with respect to the Honorable Elijah Muhammad, that concerns us. It is the realities that the words refer to that we want. We should keep in mind that we have a man (the Honorable Elijah Muhammad) and a book (the Holy Qur’an) that are from Allah, Who says we must not doubt either. This is happening right now. In 1955 the Honorable Minister Louis Farrakhan was put in a position where the Honorable Elijah Muhammad would see him. And for the first time, when he saw the Minister, he was given his assignment. The Honorable Minister Louis Farrakhan is sitting in the seat of the Honorable Elijah Muhammad who was taught directly by God, Himself!